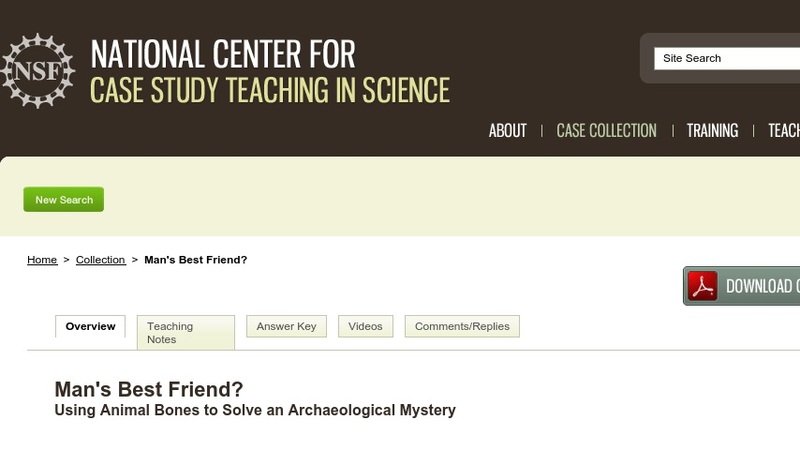 In this case, students learn how archaeology operates as an historical science by collecting and analyzing material evidence to make claims about the past. Assuming the role of zooarchaeologists, they evaluate a hypothetical case in which “Dr. Jasper Eraillure” shocks the world by claiming a canid skull he has found at a Neanderthal site is actually that of a domestic dog. Students analyze modern skulls from wild and domestic canids, and develop a set of criteria for determining whether the “unknown” canid skull belonged to a domestic dog. They further explore the reasons behind the divergence between wild and domestic dog populations and evaluate the potential impact of Dr. Eraillure’s assertions on our understanding of the past. The case was designed for an introductory course in archaeology, but could be adpated for use in an introductory biology course.